Few things apart from fraternity houses, football and cheap beer bring to mind college – and its nights that were likely forgotten – like jungle juice. While the easiest, shortest and most "college" recipe for jungle juice is simply to combine all the liquor and whatever sugary mixer you have on hand, there is actually a lot more you should know and understand before you mix it up in a drink dispenser, cooler or a trashcan for old time's sake. Whether you want to make a grownup take on the nostalgic drink, a nonalcoholic version fit for a children's party or simply a go-to recipe to satisfy everyone at your next blowout party, here's everything you need to know about jungle juice. Surprisingly, the origin of jungle juice is not the inventive minds and empty wallets of college students. The drink also known as hunch punch, harry buffalo and purple Jesus actually was created during World War II. The only drinks available to American soldiers fighting in the South Pacific were water, coffee and lemonade. They took happy hour into their own hands by fermenting their own 100 percent alcohol distillations from anything they could. There was no recipe, apart from achieving complete drunkenness to deal with the air raids. Though the drink was born out of necessity in a literal jungle, the tradition of using whatever is available to achieve the goal continues today. According to Punch, a 1945 issue of the New Yorker includes a passage from Malcolm E. Anderson that defines jungle juice as "one of the American service man's greatest contributions," and adds, "as long as Americans are forced to live in uncivilized lands, the making of jungle juice will flourish." No clearer words have defined the contribution of jungle juice to the college setting. To address one of the most commonly asked questions about jungle juice: Yes, Kool-Aid can be mixed with vodka. When making a mixed drink with a drink mix and vodka, however, consider how much to dilute the mix based on volume. For example, do not mix an entire pitcher of Kool-Aid to add to one vodka drink. Try making a simple syrup with the drink powder, and add it to a single drink. It is best, though, if you're making a pitcher or more of drinks, to make the entire pouch of Kool-Aid. Note that jungle juice made with drink mixes instead of fruit juice is often referred to as hunch punch. Another frequently asked question concerns the percentage of alcohol in jungle juice. While it can vary, depending on what is used to make the drink, jungle juice is often 15 to 20 percent alcohol. One of the key reasons for this is grain alcohol, which is often used as a key liquor ingredient because it is cheap and is a very high 95 percent alcohol. To put that into perspective, 95 percent alcohol is higher than rubbing alcohol, and most beer averages around 4 to 5 percent alcohol. Most people are not used to drinking something so concentrated, so try to choose another liquor like vodka, which can be up to 60 percent alcohol. If the recipe must have grain alcohol, go easy with it so as to avoid alcohol poisoning or a trip to the hospital. What Goes Into Jungle Juice? Historically, jungle juice is made with grain alcohol because of its exceptionally high alcohol content. Depending on the crowd, the ingredients that actually go into making jungle juice can include whatever is on hand, but, with regard to liquor, vodka, rum, gin, whiskey and tequila may be used in any combination – together or alone. The next key ingredient is a sugary fruit mixer. 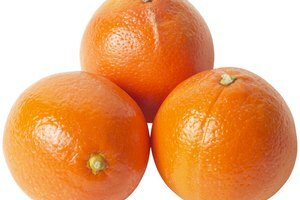 Generally, fruit juices like orange, grapefruit, pineapple, apple or grape are used. Again, you can use a single flavor or combine them. Both jungle juice and hunch punch tend to include liquor-soaked slices of fruit – such as watermelon, oranges, pineapple or apples – in the mix as well. Typically, one guideline rules when mixing up a batch of jungle juice or hunch punch: More, be it types of fruit juice or liquor, is better. No matter which type of jungle juice you want to make, consider the proof of the liquors so that the drink doesn't end up entirely too alcoholic. As a general rule, don't mix more than three kinds of liquor, and when you combine multiple liquors, again, keep in mind the total percentage of alcohol. You may want to add less of each one and more mixer. For a recipe that's easy on the wallet, choose cheaper brands like Everclear or Smirnoff, and top the punch off with a splash of whatever else is on hand, such as tequila or rum. Drink powder mixes come in a wide variety of flavors and are also among the cheapest options for mixers. For a drink that masks the alcohol a little more, pick up fruit juices like grape, apple or pineapple when they are on sale. The jungle juice mixer can be all drink mix or fruit juice, or a combination of the two. To top it off, buy a whole watermelon or pineapple to slice and toss into the punch. Keep in mind, this is really only a viable option if you're serving from an open container rather than a drink dispenser. Serving punch at a party after entering adulthood is still a practical and pleasing option. Not only does serving a prepared drink afford the host the time and flexibility to mingle and enjoy the party, it can also serve as a table centerpiece in a decorative bowl. Find an appealing recipe and turn it into jungle juice by substituting compatible ingredients that will give the same visual effect. For example, if a punch recipes calls for tequila and white wine along with fruit juices, use vodka instead of wine. The vodka will maintain the drink's light and refreshing taste, but will kick the alcohol content up a bit. For a whiskey and pineapple punch favorite, simply add another liquor that complements the flavor profile, such as vermouth, gin or vodka. Jungle juice is great for theme parties because it is self-serve and it's easy to keep the bowl topped off. Similar to punch or sangria, jungle juice is made ahead of the event, allowing the host to enjoy the party too. 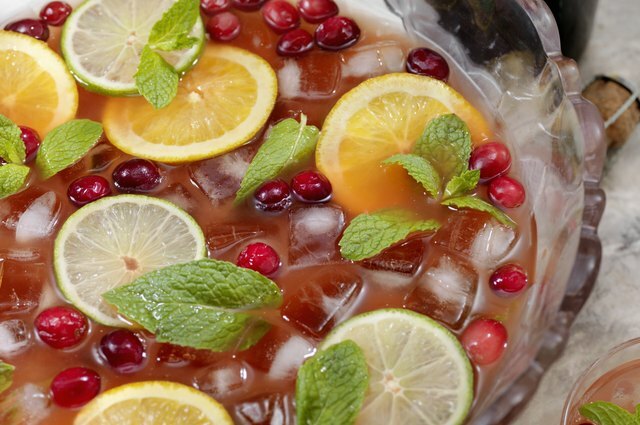 During celebrations and holidays, jungle juice can also be skewed to the theme. 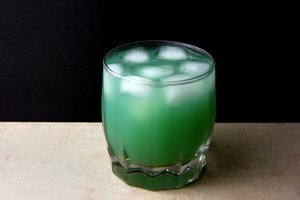 Try a Midori punch for Halloween. The melon liqueur will give the punch bowl a glowing green color (that hopefully will not leave guests feeling the same way after one too many glasses). Try adding rum or vodka for stiffer drinks, and avoid dark-colored mixers or liquors so as not to detract from the glowing green. To give this drink a spooky aesthetic, add frozen blueberries, grapes and melon balls if you have the time to scoop them. The added dark color from the blueberries will play into the theme and the round shape of the garnishes will resemble eyeballs. Around the holidays, red is a prominent color scheme to follow, and cranberries are a traditional ingredient. Mix cranberry juice with gin and vodka or whiskey for a warm pick-me-up. Rosemary will contribute the pop of green that the holidays call for while adding an aromatic that marries well with the punch itself. 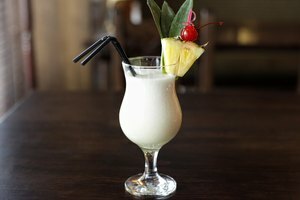 For a frozen edition that cools the summertime heat, use products like frozen lemonade, frozen daiquiri or piña colada mixes, and frozen fruit juice mixes. Most frozen drinks go well with vodka and tequila. Because this drink runs the risk of melting in a larger bowl, mix up pitchers and fill them with frozen alcohol-infused pieces of fruit. Watermelon, cantaloupe, honeydew, pineapple, strawberries and kiwis work well. Punch can also be jazzed up without alcohol for creative, kid-friendly options. While there is no alcohol to be concerned with, super-sweet concoctions do run the risk of a sugar high. To mitigate the sugar crash, consider cutting out some, if not all, added sugar by using no-sugar-added juices or puréed real fruit. Combine ingredients like water or club soda with fruit juice, fruit soda, fruit purée or sugary juices like Hawaiian Punch or Hi-C. Let the kids garnish their own drinks with bowls of sliced fruit, maraschino cherries and fun decorative items like paper umbrellas and paper straws. The best way to serve jungle juice depends on the atmosphere, including the group of people, and surrounding physical conditions. For example, plastic cups and plastic or acrylic drink dispensers are best for young children and college-aged crowds. This mitigates the risk of broken glass and is less expensive if an accident does happen. Adults throwing a party can likely handle their alcohol, so they are more likely to be trusted with a glass or crystal punch bowl, pitcher and bar ware. Acrylic is, however, sometimes easier to clean with the help of a dishwasher, and you don't have to worry about it being broken. Themed parties can benefit from a festive slant on bar ware and serving ware, as well. Holiday parties are elevated by more ornate punch bowls and crystal – or crystal-look plastic – glasses. Make your summer pool- or beachside days more fun with acrylic pitchers adorned with decorative fish, beach scenes or mermaids. A general rule of thumb when planning how much of each ingredient to add to your jungle juice is to base it on 1 gallon of juice per 10 people. One gallon roughly makes 30 5-ounce servings, and most punch glasses or plastic cups hold between 4 and 5 ounces. Plan on each guest drinking two cups in the first hour and one cup every hour thereafter. For a party of 25 people lasting three hours, plan to purchase enough jungle juice provisions to make around three to four punch bowls, or around 90 to 120 servings. What Is the Alcohol Percentage in Wine Coolers?